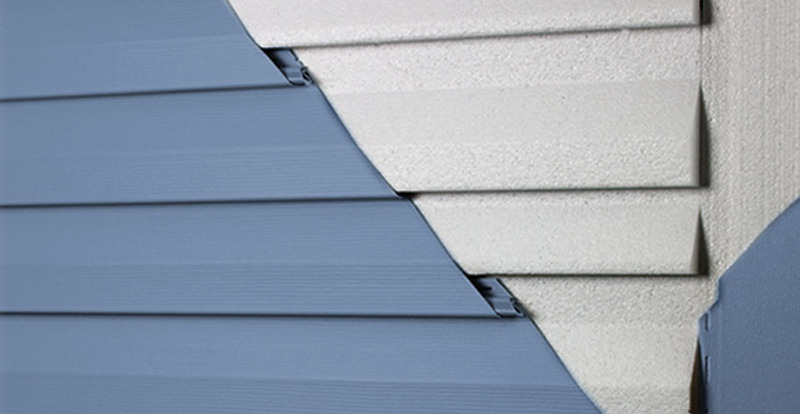 Insulated Siding is home siding that has some kind of insulating material such as rigid foam attached to the back of the siding panels or foam placed behind the siding on the exterior walls during installation. Sheets of foam insulation attached directly to the exterior walls. NOTE: Foam insulation attached to back side of siding panel. 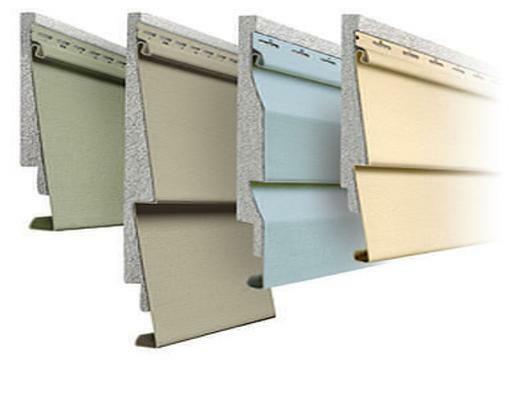 This siding has insulating foam attached by the manufacturer on the back side of each strip or panel of the siding. It comes ready to hang on your house. Using sheets of foam insulation. Insulated Foam placed behind the siding attached to the wall during installation. This method of insulation is common when using Hardie Board, Concrete Board or Engineered Wood. It is very energy efficient and designed to save homeowners money by lowering their energy costs, in both the summer and winter months. Keeping more of the heat in your house during the winter and keeping your air conditioner running less in the summer time. Saving you a ton of money year after year. Click here to read more on Wikipedia on Insulated Siding .. When the homeowner is using a Hardie Board, Cement Board or Engineered Wood for siding rather than vinyl siding, the foam insulation can be attached to the exterior walls and then the siding attached. Almost any siding can be installed over foam insulation. A great way to help insulate your house and save on energy costs. Insulation also cuts down on out side noise such as traffic. If you are going to install new siding on your home, that is the best time to add additional insulation because you already have the workers there working on the walls. 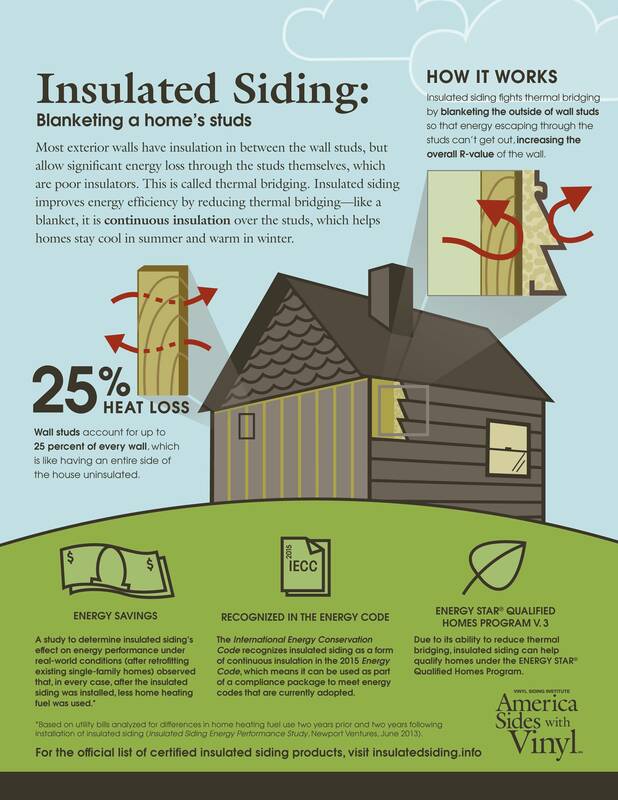 Why buy insulated siding anyway? 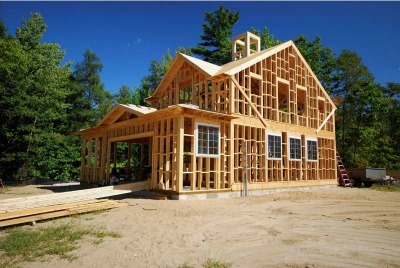 Nearly 25% of your home's wall surface is made of studs that typically aren't insulated. It's like having ONE ENTIRE WALL of your home with absolutely NO Insulation! This is a hidden energy leak in your walls that you don't even know about and it's costing you money every day! The culprit is the wood studs in your walls. Heat by-passes the bat insulation (the pink stuff) in your wall cavity and transfers through the studs, allowing energy to leak through your walls. This process is called thermal bridging. With no insulation the heat just passes right through the walls. It's like money passing right through the walls every time the AC or the heater comes on. Before: Infrared camera reveals thermal bridging in this house. Because the insulation is contoured to fill the gap between the siding and your home, it delivers maximum energy efficiency, along with lasting beauty, durability and low maintenance. After: An infrared camera reveals how the thermal bridge has been broken by installing Fullback V Insulated Siding on this house. Some reasons why homeowners choose siding that has factory insulation over standard siding. It may cost a little more but the higher price is off-set by lowering energy costs for decades to come. Here is a great little fact sheet on how you can save a lot of money year after year by lowering your year round energy costs. From the Vinyl Siding Institute.